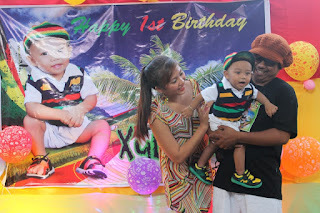 I'm Walking On Sunshine: Xylie's 1st Rasta Birthday! 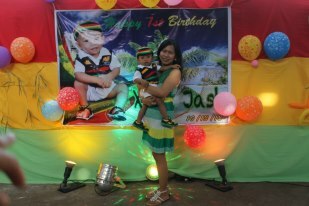 It was Xylie Jash's 1st birthday celebration last Saturday, October 13. He is Lainy's Morning Dew, her nephew. Our nephew, basically since Lainy and I are cousins. Anyway, Xylie's birthday was a Rasta party as expected. 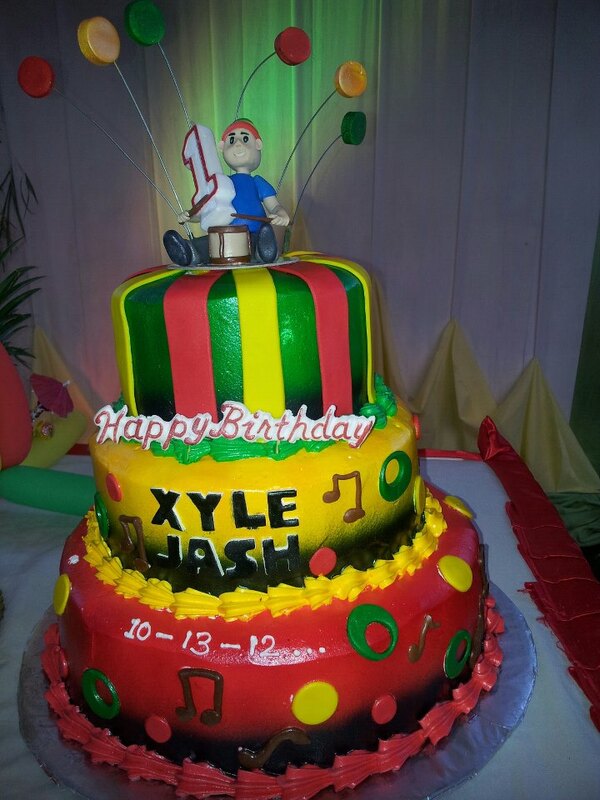 It was colored green, red and yellow! Most of the kids wore rasta clothing except for, uhmmm... our Brandon. 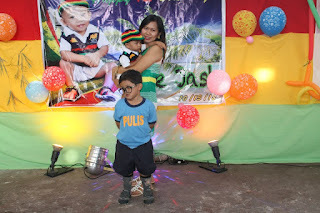 Reggae music was played from splendid sounding Amps was heard all over the place for sure. A lot of friends and relatives with their kids were there to party with Xylie. I can see so much happy faces during the party. 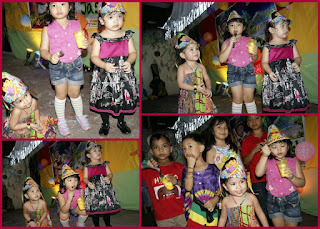 Too bad I wasn't there to witness the everything but I know it was so much fun!